Now before you go out and ask your buddy Cletus to help you bury a massive storage container or one of the new underground tornado shelters in your backyard and call it a day, there are some things we need to go over. Like the fact that using a storage container is probably the worst idea if you're going to bury it, and that the soil you're burying it in and it's affects on what you're burying need to be accounted for. 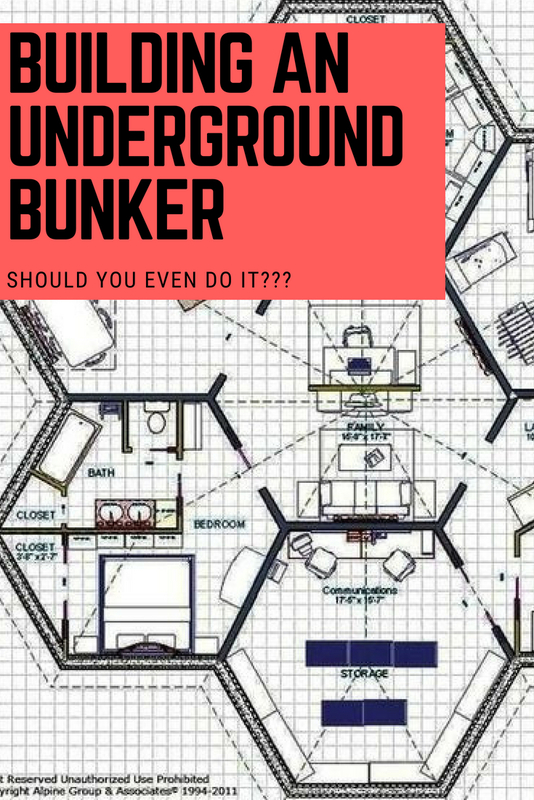 We're going to go over plans for bunkers ranging from the simple container buried in your backyard, a circular designed shelter and others that are a little bit fancier and a lot more effective! Also we will cover the pros and cons of above ground storm shelters, and if they're worth the time and money to install. So get ready to be learned something about creating your fool proof under ground bunker! The Prepper Journal has a great write up on this if you have time to check it out. Again you don't need to base your plan around how many and what kinds of guns you have, but they are essentially the icing on the cake. Out of sight out of mind, marauders mind's that is. 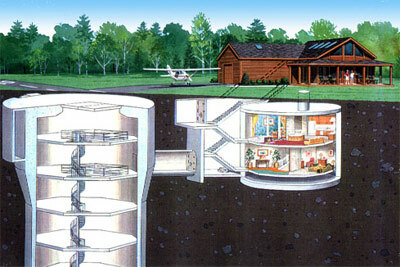 While the rest of the world is being raped and pillaged above, your family is able to sleep the night away in safety thanks to your forward thinking. . Having your bunker underground, or something similar to underground tornado shelters provides multiples levels of protection, pun intended. First of all you're out of sight of any evil doers that are looking to take advantage of those with resources they want. Also you're safe from whatever fallout might occur, whether it's natural or nuclear fallout, you and your family will be safe from it underground. And finally your need for weapons and ammunition will decrease dramatically if you choose to bug in to an underground location. you have the low ground so there's not much use in fighting back. 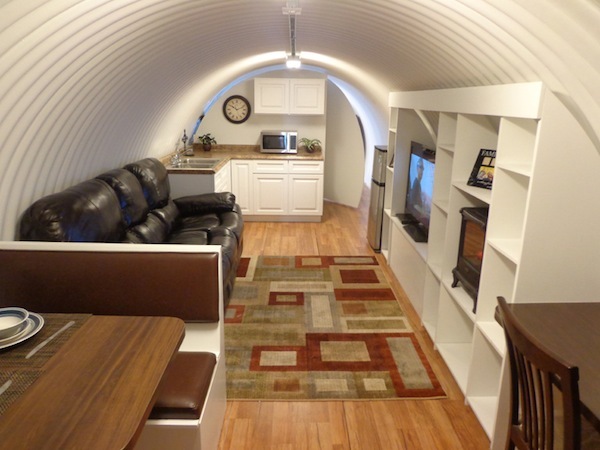 Storage Containers For Underground Bunkers? This is just a bad idea in general. You're taking something that was meant to be stacked in a geometric way with the pressure squarely over the pressure points. And instead you're going to bury it with hundreds or ﻿﻿thousands of pounds of dirt pressing on it constantly. Well thankfully our buddies over at greywolfsurvival.com have done ﻿a similar write u﻿p on this topic. His main source of contention with this method of building a SHTF shelter out of a storage container is that the weight isn't evenly dispersed on the container. Namely the weight is placed on the sides of the container. And I'm not sure how many shipping containers you've seen stacked sideways with the weight placed on the sides, but I'm sure it's close to none. 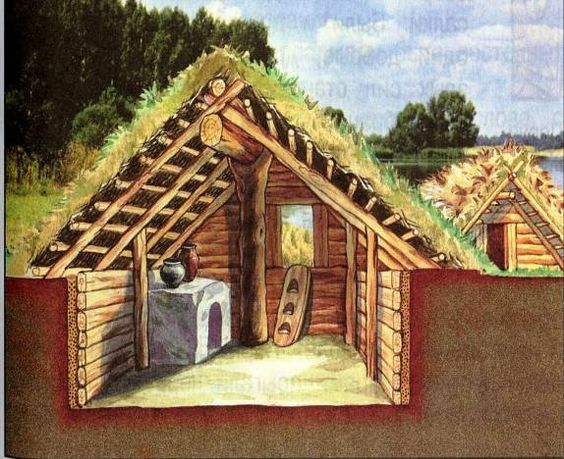 Anyway the point is that if your intention is to build a survival shelter underground that will stand the test of time, then you will want something more structured for that purpose with even weight capacity. Grey Wolf suggests that if this is your hearts desire, then you'll want to look into pipe shelters or something that is rounded instead of square. This displaces the weight and allows you to bury it much deeper and not have to worry about the ceiling caving in on you while you're inside. It would be best to think of this bunker as a second home. That's mostly because it very well could be soon. So you stock your home with food and prep food for a day that you hope never comes, but will be prepared for. So let's do the same with our bunkers. It would be wise to keep more food than you think is necessary in your bunker. Because you don't know just how long you're going to be in this bunker, and you don't know if you might pick some unexpected tag alongs up en route to your bunker. So better safe than sorry. As for water, you can store this much easier, and the option for customization to include a water storage option should be available with the suppliers listed below. And again you're going to want to follow the same protocol with the water. You'll want to store more than you need just in case. Weapons aren't that big of a necessity when you're in a bunker. There's not much of a strong defensive point, and being underground puts you at a disadvantage already so we don't think it's worth investing too much in weapons and ammo. This is completely up to you and what you would like to have in your bunker though. Now when you leave the bunker you'll want to have some arms to take with you for sure! So Which Undergound Bunkers Are Best? We're not looking for your run of the mill "bomb shelter for sale". Our suppliers over at Atlas Survival have put together some pretty sweet underground shelters for sale for almost any budget. Their moto is "Beware The Square", which is what we just discussed. So if you want to go 20 feet underground and not have to worry about your safety, then these are the people to talk to. And their equipment WORKS. How do we know this? 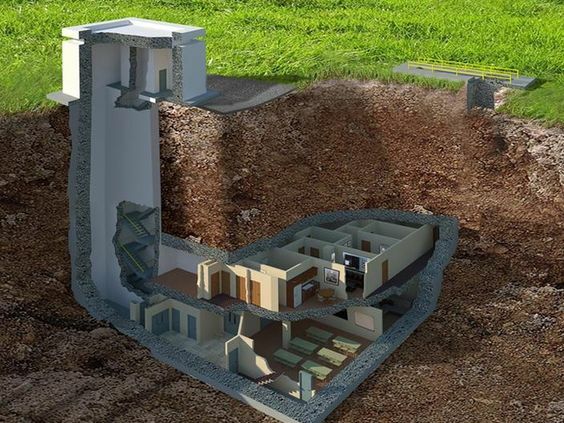 Well because they follow the same underground bunker plans that the U.S. Military did during the Cold War, and these designs were tested with real nuclear missiles and passed the test. So Atlas Survival has taken a valuable page from the book of American nuclear defense and made it accessible to it's customers who want to protect their families without sacrificing too much comfort. Now if full customization is more of what you're looking for then you might want to check these guys out at UltimateBunker.com. Looking For A Fallout Shelter For Sale? While the common practice of taking your mattress into the bathroom and huddling in the tub if there's a tornado sounds great in theory, I'm sure there are many times that didn't work out so well. And while you won't be trying to fight off marauders in this shelter, it would be nice to know you had somewhere to go in an emergency situation if things go hairy. Also for added protection you could use this shelter to avoid any nasty weather. We recommend these as panic rooms more than bunkers. The fact that it can stand an EF5 torando pretty much gives you peace of mind as to it's sturdiness. So should something happen and you need to fall back to reload, or get to a second weapons cache, having an above ground storm shelter wouldn't be that bad of an idea. 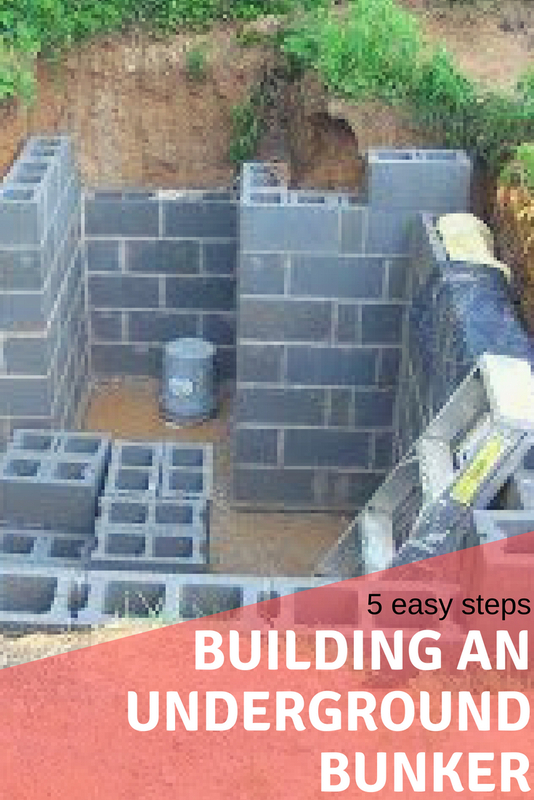 For the most part you're going to use this above ground shelter for smaller scale weather issues. Say something happens your home and you need to get out of a bad situation, this would be a great option. It's not going to be a life saving option though. Lake Martin Storm Shelters sells and installs FEMA approved storm shelters across the Southeast. They want to provide you with the safest shelters on the market and install them with quality work and responsibility. Lake Martin Storm Shelters specializes in providing proper evaluations based on the individual’s needs or circumstances. Their ultimate goal is to help protect families from severe weather events such as tornadoes, hurricanes, and severe thunderstorms. They take their work seriously and that’s why we abide by FEMA compliance guidelines and engineer recommendations. Lake Martin Storm Shelters represents two storm shelter manufacturers in the surrounding areas of Lake Martin and the state of Alabama. Fiberglass Creations and Life Pod have been in business for over 15 years with FEMA approved shelters. These shelters are tested at Texas Tech University and have the Alabama seal for support calculations. This is very helpful resource especially if you are looking forward to protect yourself from what is going to come. I going to fund to build my bunker outside of America. Very helpful guys. Thank you. I work in construction for the last 20 years I did nuclear engineering work. I agree with the assessment of shipping container flaws underground. There are cheap fixes to this though. The container bottoms have the most support and the weight is distributed to the corners where the shipping lockdowns are. One fix to a bunker of cargo containers is to buy extra and place them around your bunker on the tops and sides. Fill thee buffer containers with rock or dirt and they will protect your shelter from the forces around it as a stable buffer. You could even put barrels in it before filling for water storage and collection or make it a giant earth battery. The crates on top would have the weightdistribution placed on the strongest parts of your shelter leaving the roof with almost no load. The side crates might take damage over many terms but your bunker would feel almost no direct pressure. While this would add cost it would be cheaper than some round construction options. Also with a buffer crate on top with potential for water storage in it you could go deeper and still be safe with cheap water pressure increase.